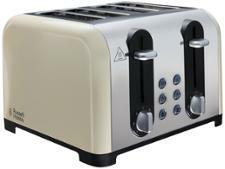 Russell Hobbs Retro 21690 toaster review - Which? 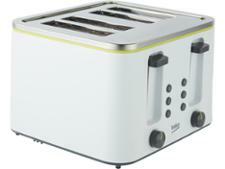 If you're the impatient type, the Russell Hobbs Retro toaster could be just what you need. 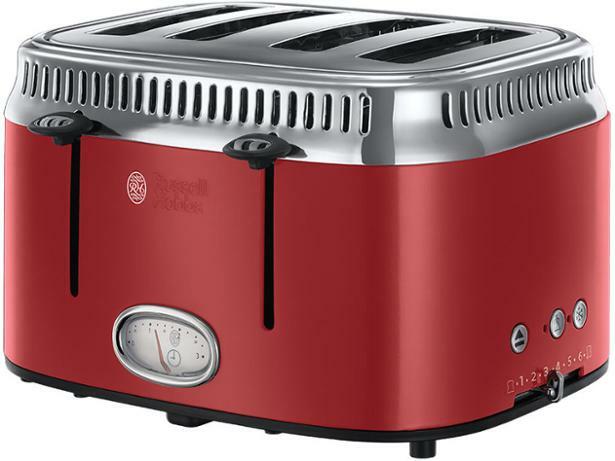 Not only can it toast four slices at once but it has a countdown timer that shows you exactly how long is left until breakfast is ready. Standard slices fit in well enough, but are the slots big enough for a 'toastie' loaf? 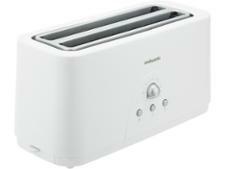 This is just one of the things we check in our toaster tests; read our full review to find out more.